Black History Month is every month at our house, as is Asian American month, Hispanic Heritage month and etc. We believe in learning 365 dyas a year. There were so many events to attend last month in our area. I made it a point to attend one event at a local community college, one in part because my husband came across this event and e-mailed it to me and I thought that was a very loving thing to do and two, my Dad was here visiting and I love sharing these educational events with him. 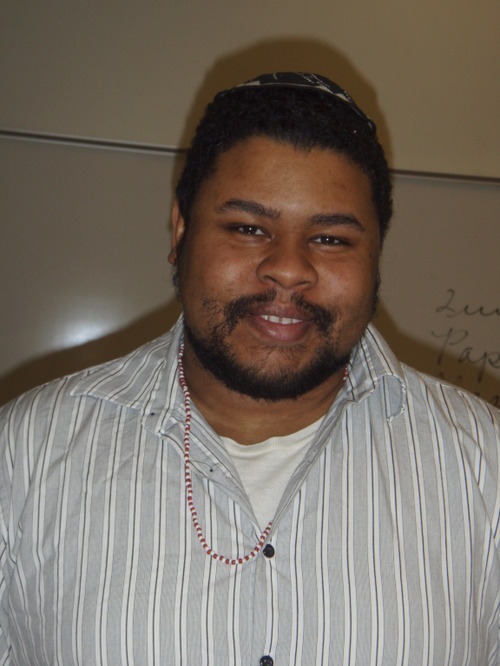 My Dad, 4yr old Joseph and I attended a lecture by Michael Twitty, (Please click the link and read his Bio)...He loves researching his slave ancestors and is a Hebrew School teacher!!!! His presentation of the foods of enslaved Marylanders is the epitome of my book, Ethnic Scrapbooking. Connecting to African-American culture through stories, research and food! His website is www.afrofoodways.com. All I can say is definitely visit his site and catch one of his presentations in person. He really inspired me to kick up our family history presentation another notch. We exchanged books and my Dad and I are fighting over his book...he won, it went back to PA with him. 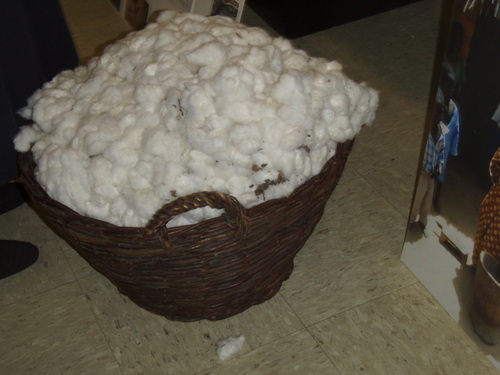 A bale of cotton that he personally picked. 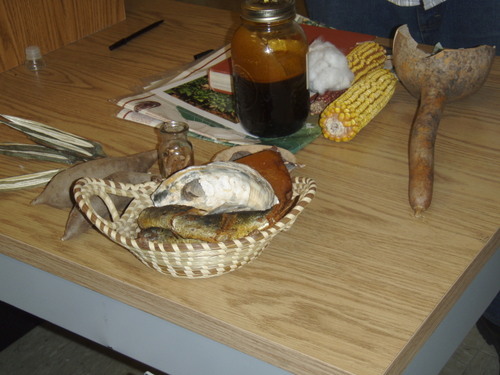 A sample of food that enslaved Marylanders would have eaten...they are not plastic examples, those were fresh smelling herrings & pig something, along with an oyster shell that the children would have used to eat from the pig slop trough. My new source of inspiration...GO Michael Twitty GO! Wonderful. You are so full of knowledge and wonderful experiences. Thank you for always sharing. I'd love to have some of this stuff for Scraps of Color! Hint, Hint! By the way, consider yourself tagged! See my blog!